You’re scrolling through Instagram, and your scroll goes a little something like this: friend’s new baby, what friend had for lunch, birthday shout out, clothing ad, vacation photo, the same friend’s new baby in a different outfit…sound familiar? We’re human, which means the content we like to share to Instagram is generally pretty similar across the board. If you’re a business trying to compete, however, it can be all too easy to get lost in the land of Instagram clichés. 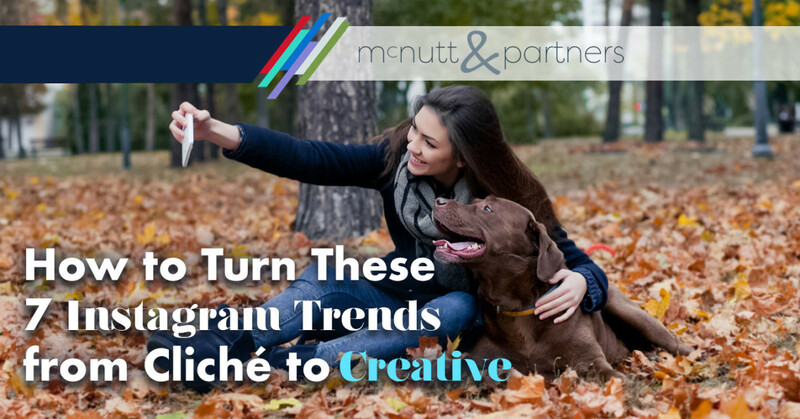 Here, we’ll look at taking seven Instagram trends from cliché to creative. Alright, now that you’re ready to turn these Instagram trends from cliché to creative, it’s time to get ‘gramming. Need help making your Instagram the best it can be? Contact the McNutt & Partners team today. Call 334-521-1010, or visit our contact page.